Available in two or three colors and 2 different widths. 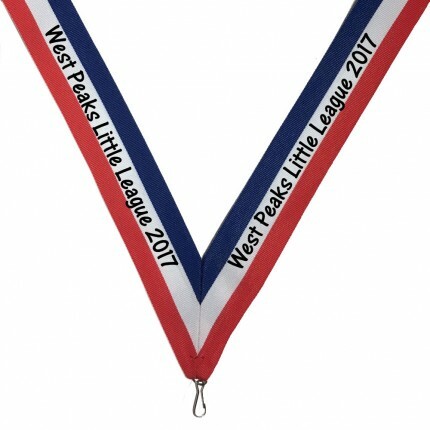 Comes with a small jumper hook for hanging badges, awards, medals, or attachments. Can be screen printed with up to 2 colors or custom printed with full color design right on the ribbon! 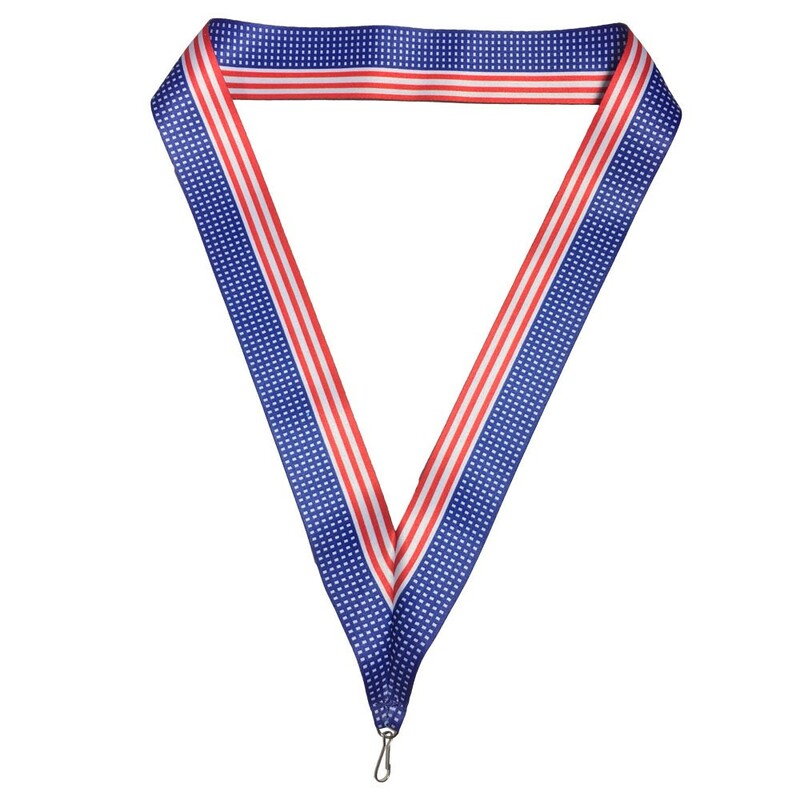 These are the lowest priced multi-color neck ribbons in the USA. Custom printed with your logo, text or design in 10 business days. 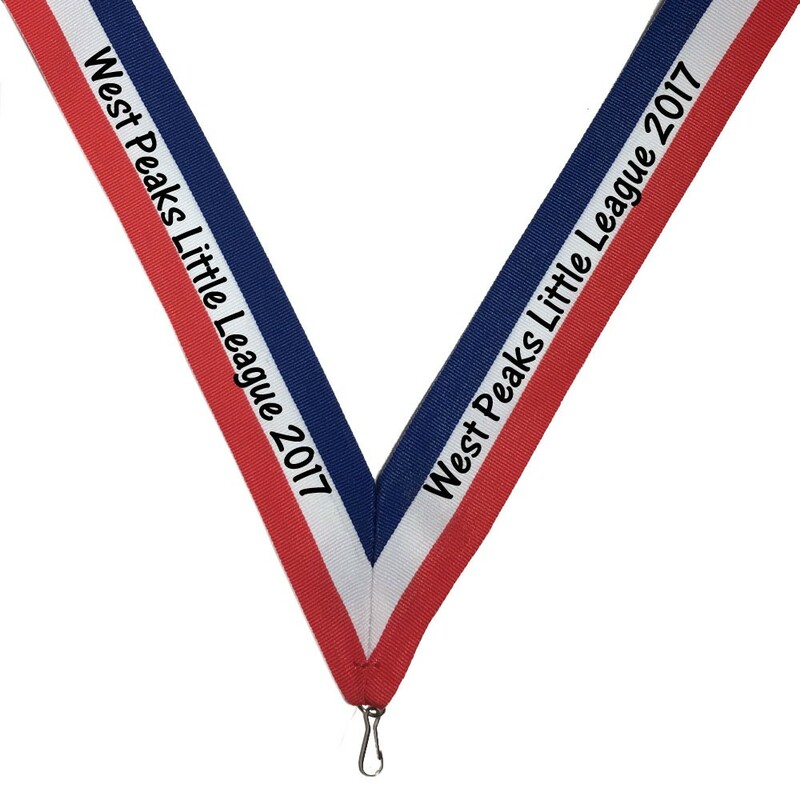 Can be ordered with or without a custom medallion pendant for 1st place, 2nd place, etc. Hundreds of color combinations available to match your school or event. Custom lengths and attachment options available. 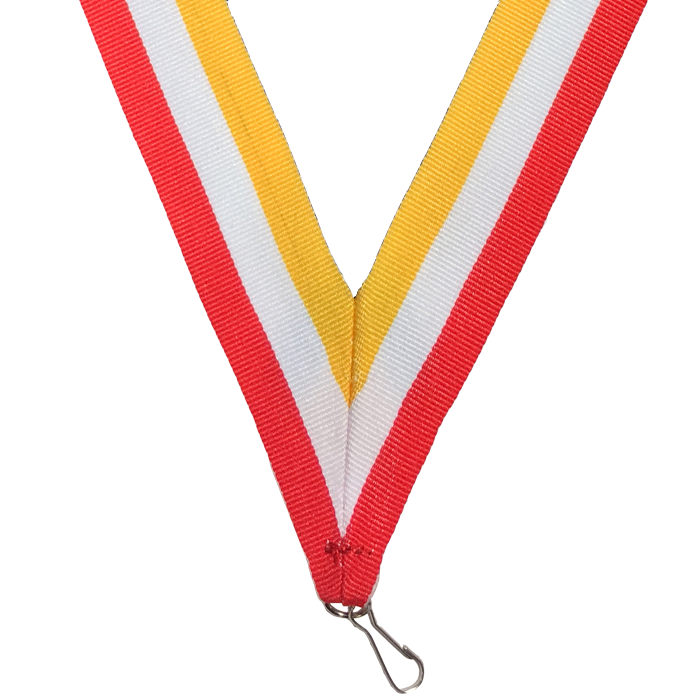 Flashy Custom Printed Neck Ribbons for holding medals. A nice touch to any competitors big day. By default, neck ribbons are 30" long, they come in widths of 7/8", and 1.5"